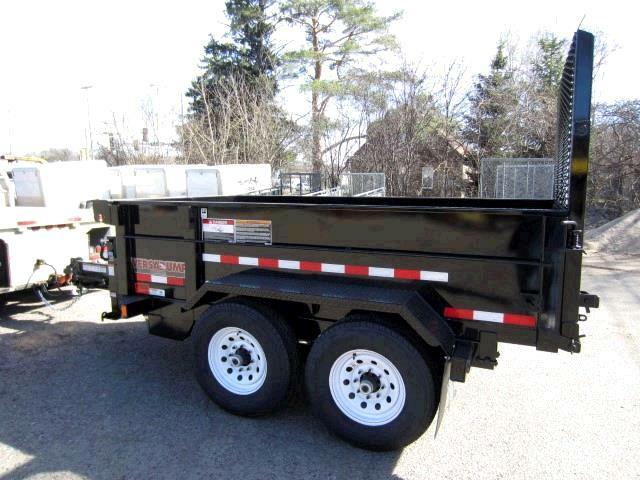 Tandem axle dump trailer w/ landscape gate ramp for hauling landscape supplies and MT52's . Box has 4 D-Rings. Binders available. 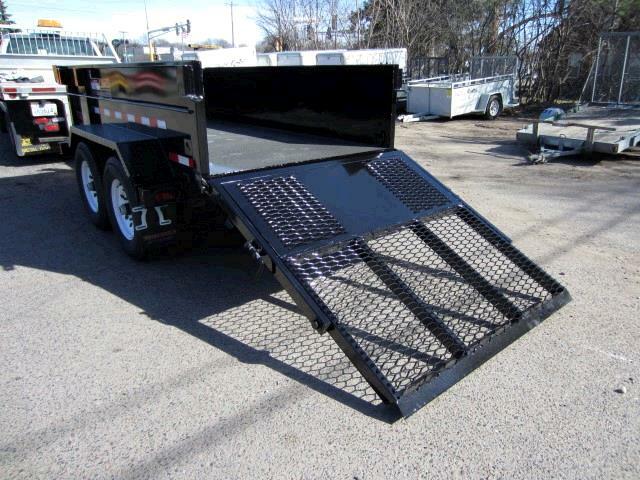 1/2 Ton pick up or larger required-most van hitches are too low. 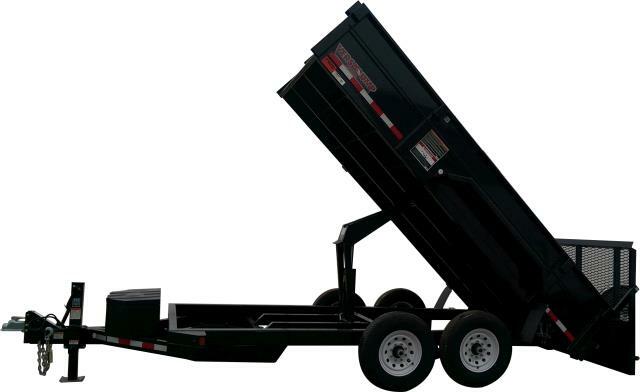 Box Side Height - 24"
Trailer Weight - 2800 lbs.